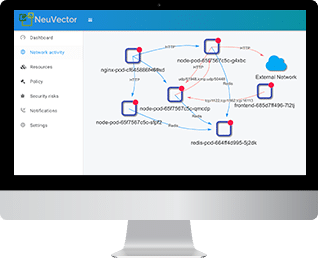 NeuVector automates security for the entire CI/CD pipeline, from Build to Ship to Run. Use the Jenkins plug-in to scan during build, monitor images in registries and run automated tests for security compliance. Prevent deployment of vulnerable images with admission control, but also monitor production containers. All running containers and host OS’s are automatically scanned for vulnerabilities with scanning tasks distributed across hosts for blazing fast, highly scalable image vulnerability analysis. Scan thousands or hundreds of thousands of images with the fastest scanner available. 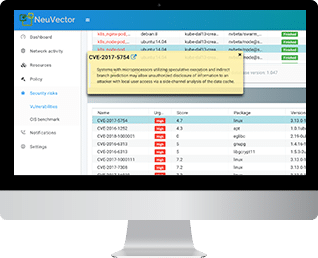 With Admission Controls, NeuVector can tie vulnerability scanning to the container deployment process. NeuVector integrates with Kubernetes and OpenShift controls to apply security policy before images are allowed to be deployed.